The cabinet reshuffle that has been dragging on for months now will eventually take place with the return of ministers who are presently overseas for the New Year, president Maithripala Sirisena has said. 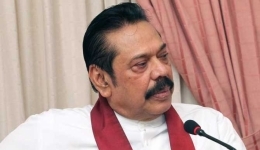 Speaking to Sri Lanka Mirror, a minister from the SLFP said the president revealed the plan when he this morning (14) wished the president for the New Year. Prime minister Ranil Wickremesinghe too, is in agreement, and a final decision is to be taken once he comes back from his official visit to Japan, the president has said. The cabinet that meets on Tuesdays will meet on April 25, after having its last meeting on April 04.